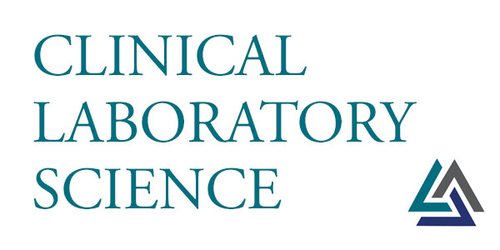 Clinical Laboratory Science, the official journal of the American Society for Clinical Laboratory Science (ASCLS), is a peer-reviewed publication dedicated to expanding knowledge and communication among clinical laboratory professionals. Clinical Laboratory Science, under the supervision of ASCLS, selects all material submitted for publication. Clinical Laboratory Science is committed to upholding the highest level of ethical standards in peer-review of submitted manuscripts. Reviewers for Clinical Laboratory Science make a commitment to thoroughly and completely review all parts of submitted manuscripts. All manuscripts are reviewed for significance, originality, accuracy, clarity, and proper format. This includes checking keywords, appropriate formatting, proper figures, tables, and video usage, and references for citation and format. Reviews are submitted in the proper format consisting of the following parts: A summary of the manuscript, major concerns, minor concerns, and comments regarding grammar, clarity, and format. Reviewers must register with the manuscript submission system located at https://www.submit-ascls.org/. Registered users will identify their areas of expertise before they can be assigned a manuscript for review. All reviewers undergo confidential periodic internal performance reviews to assure that the review process is consistent with the high standards and ethical responsibilities of Clinical Laboratory Science Journal. ☐ More suited for another journal. Please write additional, confidential comments to the Editor here.